Just finished this pair of bindings. 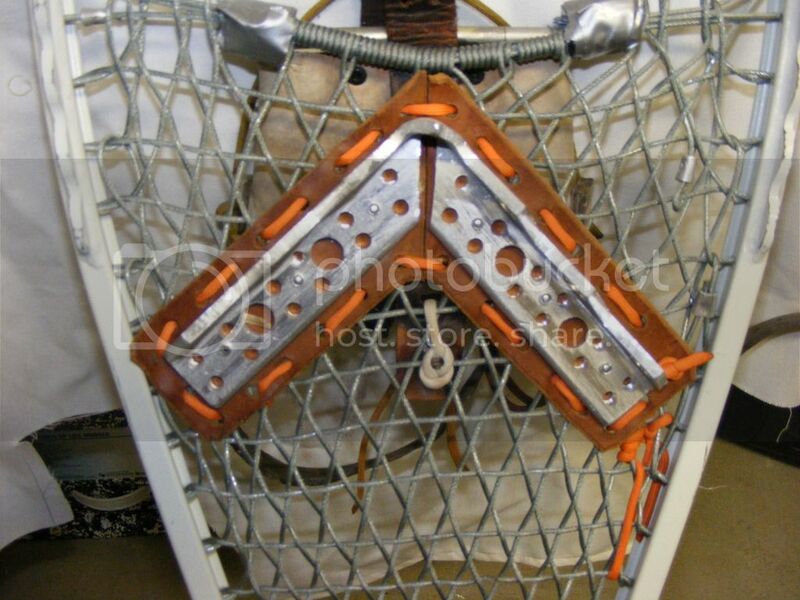 This is my favorite design, I do not take credit for it, It is a Gil Gilpatrick design out of his snowshoe making book. Used the scrap leather that came in this package, which includes one 13" x 13" piece of leather, enough to cut the two main pieces out of. The straps are from some US Army material I got at the local Army store. 48" of strap material for $1.50. 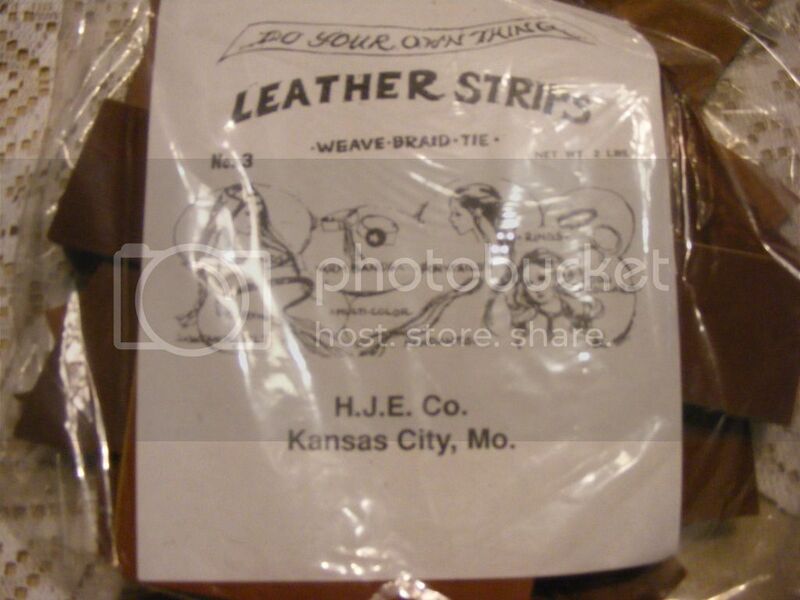 That is where I got the scrap leather also for $6 a bag. I figure I have $9 in material in this pair of bindings. 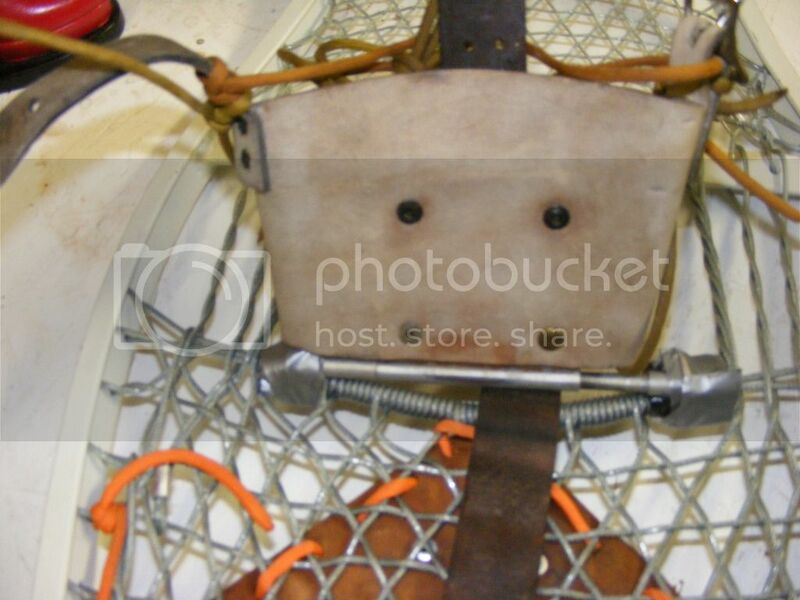 Attached to the snowshoe with 1/4" tubular nylon. P.S. 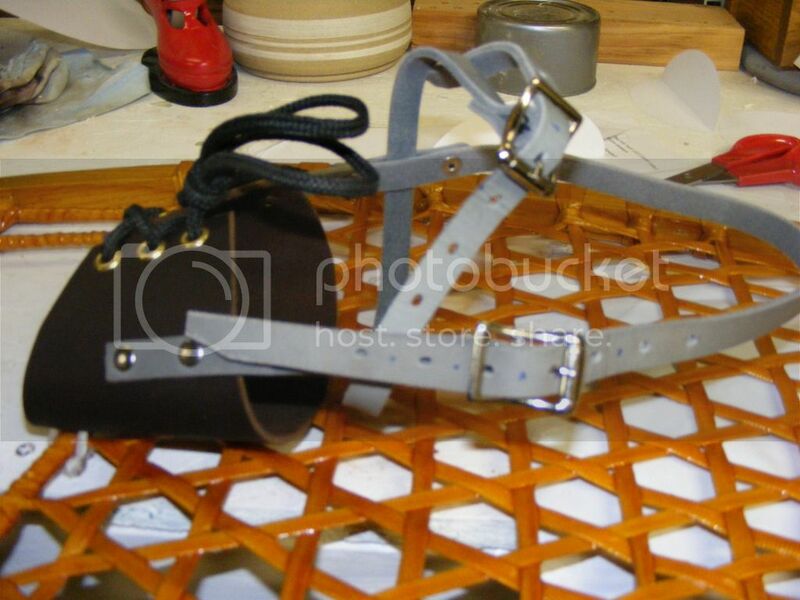 These snowshoes are some I made. They have 1/2" tubular nylon, which is the webbing material I prefer. I see this lacing material becoming more popular. It is touted to have a 400# test strength so I might see its advantage over babich, but what would be its advantage over tubular nylon, which is wider, thus offering more floatation? Tubular nylon is also stronger, having a test strength of 1400#. 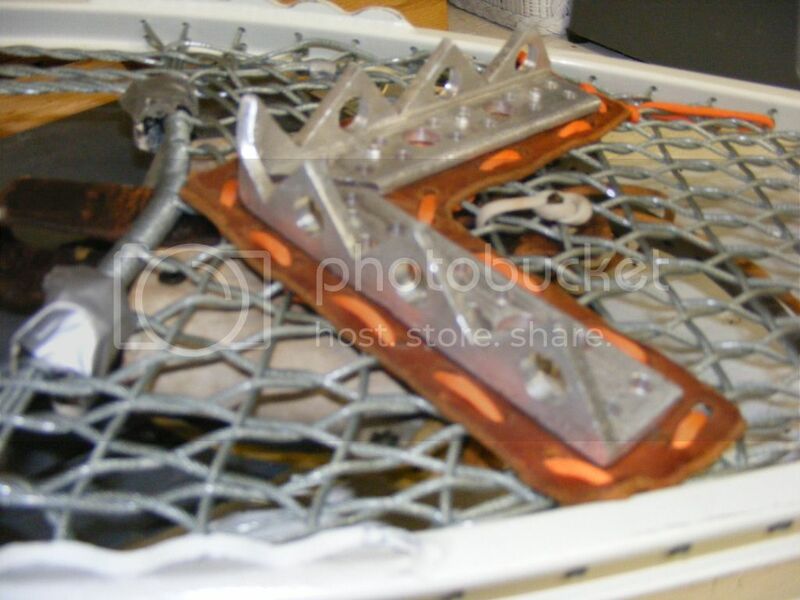 Also as I see it, if you accidently cut that mono line the whole snowshoe lacing is going to come unraveled. 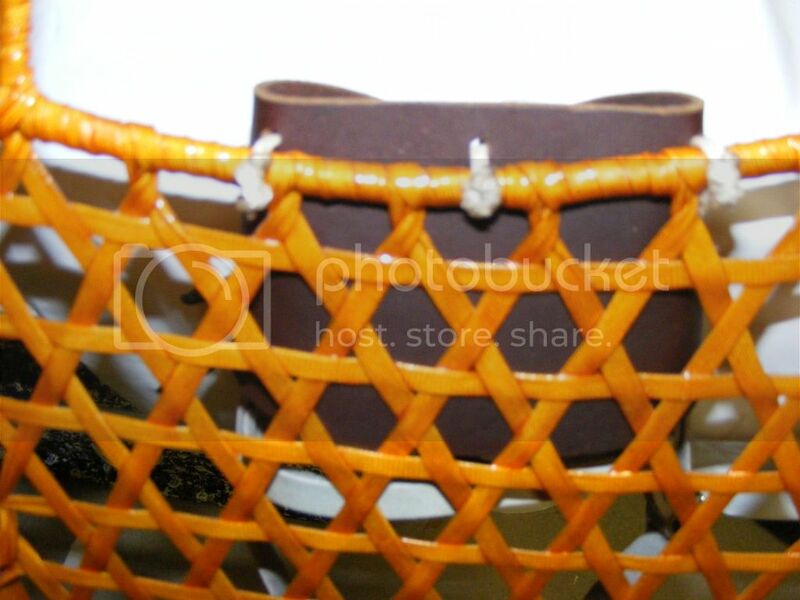 Tubular nylon is varnished with the wooden frames. It will not come unraveled if cut. General Winter Camping Discussion / Getting Priced Out of My Own Land! Total $225-- For the privilege of setting foot on my own Federal Land!!! I must have forgot something, oh yea: $500 for The Right to Breath Federal Air and Exhale Carbon Dioxide Permit-- cannot forget about my CARBON FOOTPRINT!! P.S. When I first started fishing and canoeing in Yellowstone (1981) it was $2/car to get in and $5/canoe for a boat permit. That was it! Just acquired these two hand warmers, they came together. Both are the giant models. 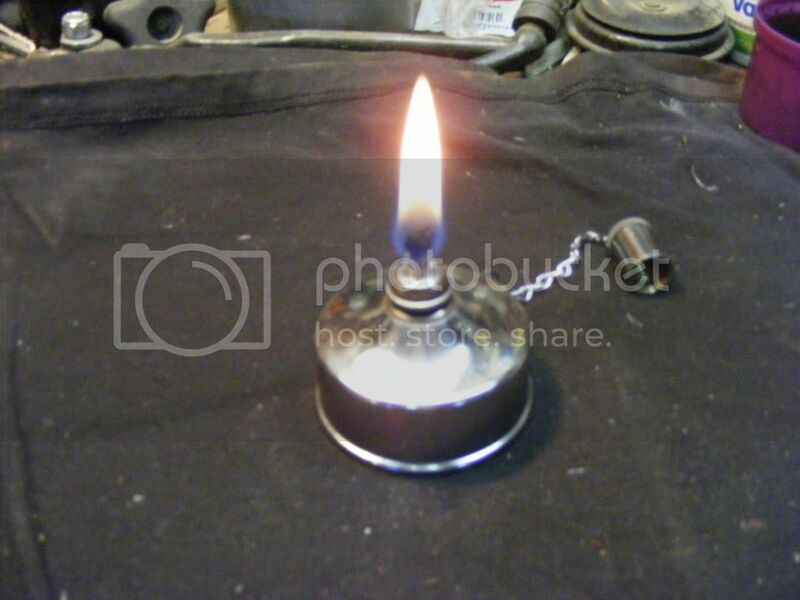 Both have lighting wicks. The one on the left lights easy with the wick in about 30 seconds. The one on the right takes two or three tries to light, but then works well. Using new Naphtha fuel. Any ideas why? What is the catalytic material made of? First time I have had one of these hand warmers. Put out a lot of heat. 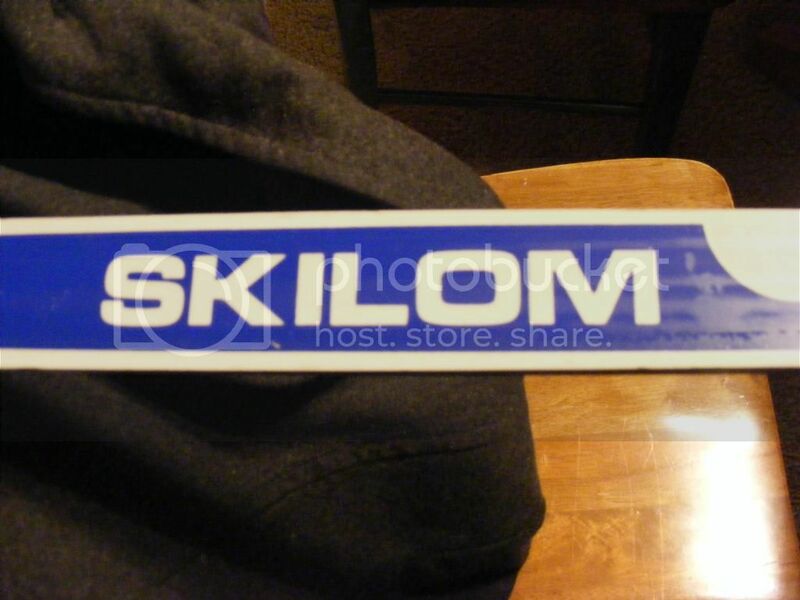 Skilom skis, made in Norway. 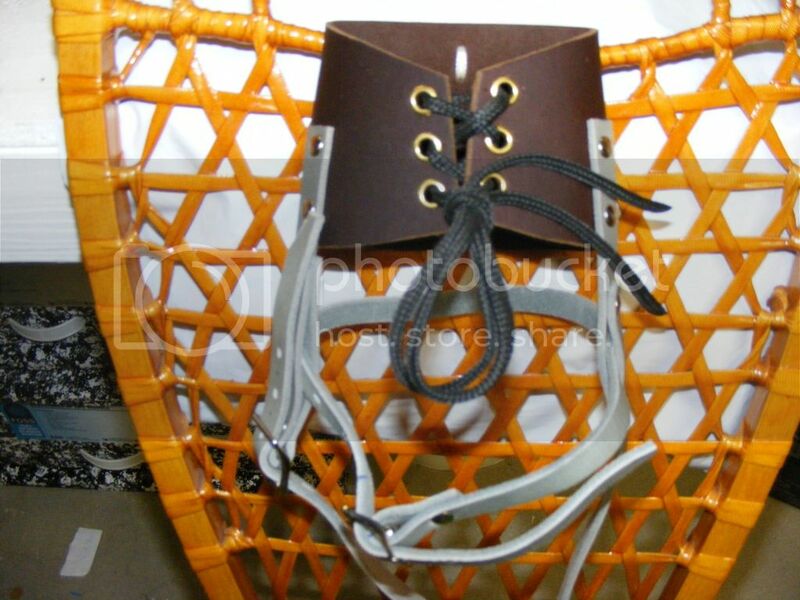 Pinso nylon three pin bindings, don't know where made. I bought this set up in 1980. Mica base skis were some what popular back then. They have a lot of grip, good for climbing. Most people considered them slow. 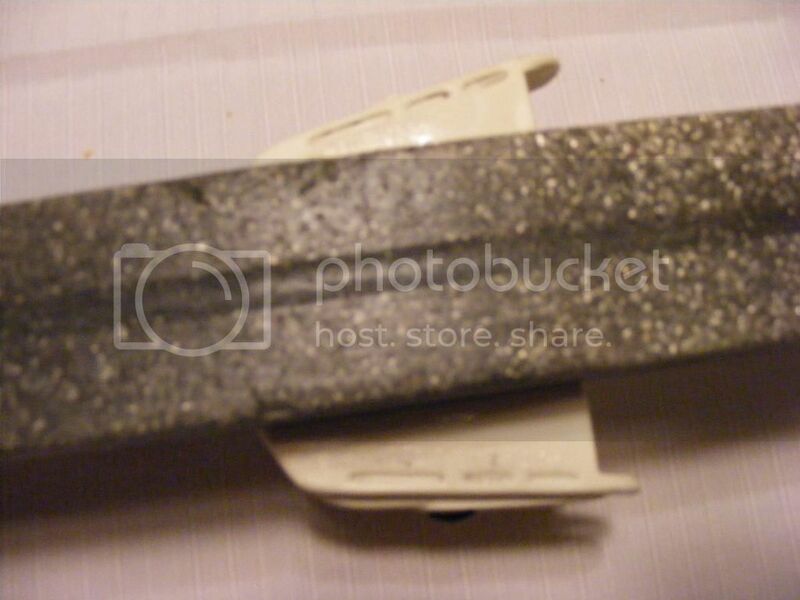 I used to put glider wax on most of the base except right under the binding. 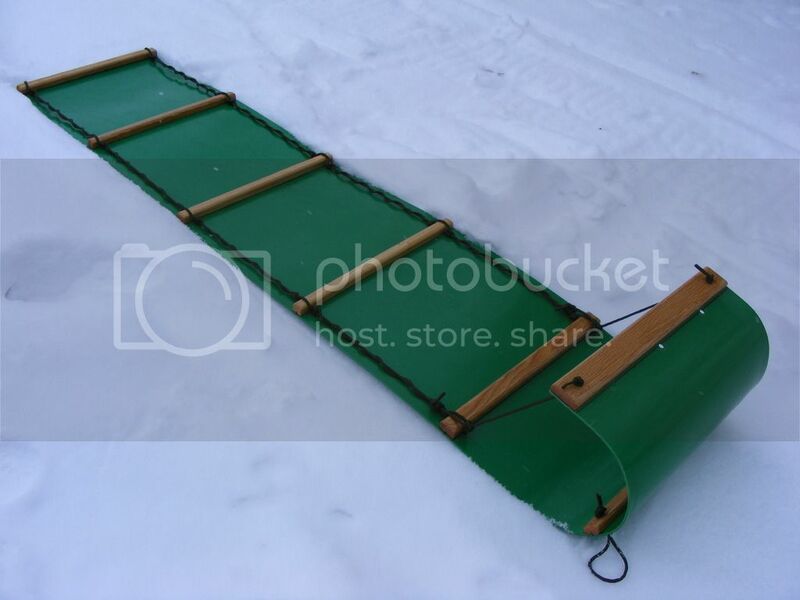 I do not think I ever pulled a sled with these skis. I think I will try that next time I go out. I bet it works well. The bindings are great. When I first bought these skis the salesman talked me into these bindings. I thought they would break. They never have. I have broke a lot of metal bindings with wire bales, but these nylon bindings have held up great. 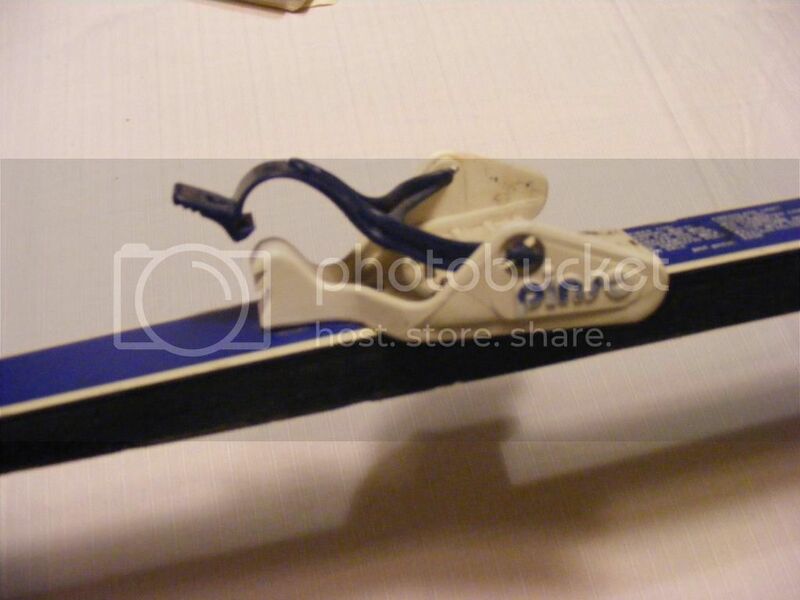 Does anyone else have any experience with these type skis or bindings? 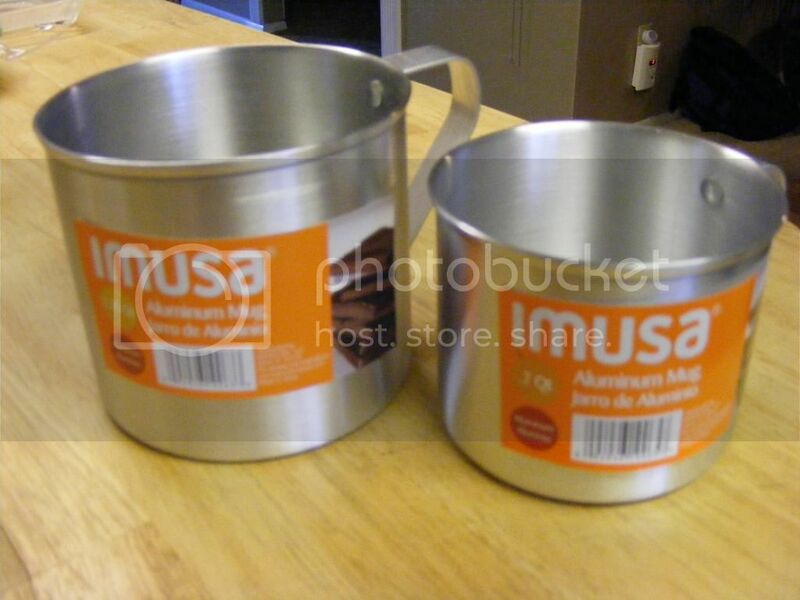 Other Winter Camping Gear / I couldn't resist spending the big bucks! I always wanted some of these. I had to take my wife to the airport today, 220 miles away, so I stopped in Wal-Mart. Like I say I could not resist! True confessions: On past winter trips I have not eaten very well. I have eaten a lot of granola and gorp and dried soup and a lot of that kind of stuff. Can you experts help steer me in the right direction to enjoying my meals more. HELP! 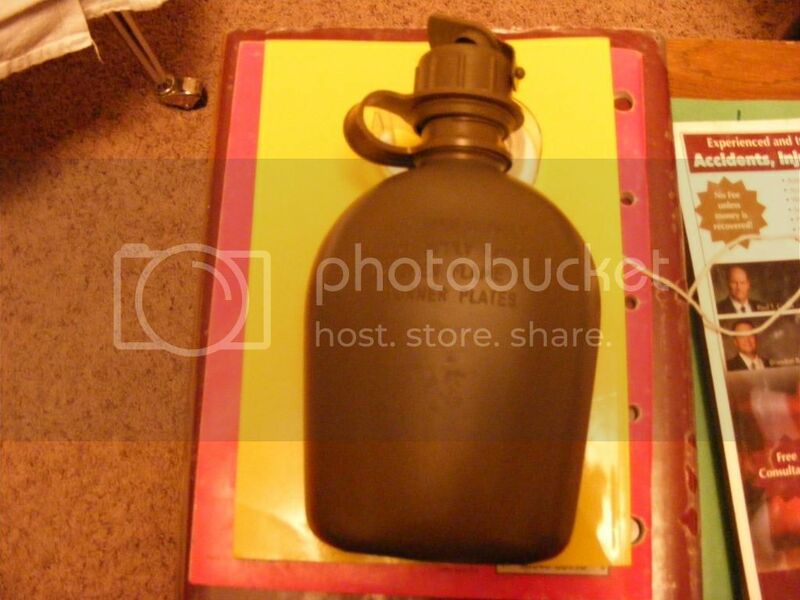 Other Winter Camping Gear / What is this for on the canteen? General Winter Camping Discussion / Happy Thanksgiving! To all my American and Canadian friends, HAPPY THANKSGIVING! We have much to be thankful for: Family, friends, good health, plenty of moisture, beautiful land, and the persuit of happiness. 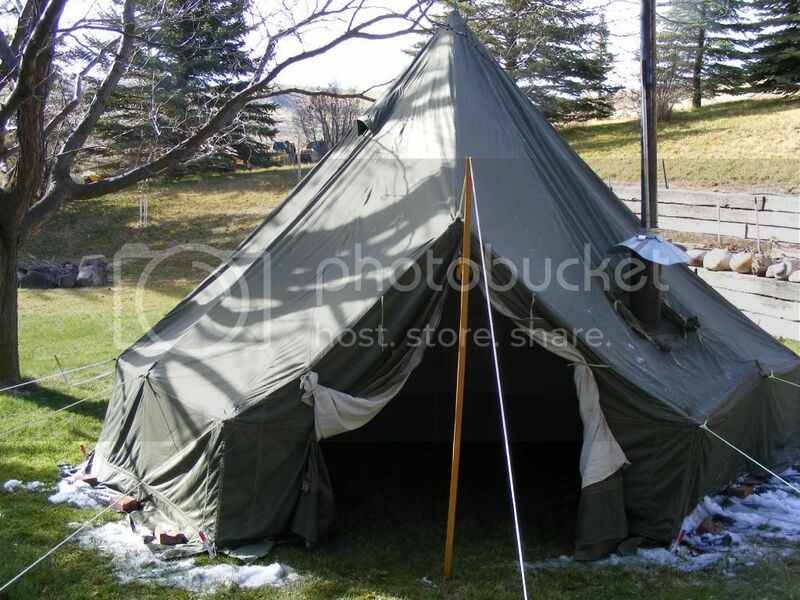 This photo of my Army tent was taken a couple of weeks ago when the went was not blowing. Today it is blowing stead about 30 MPH. 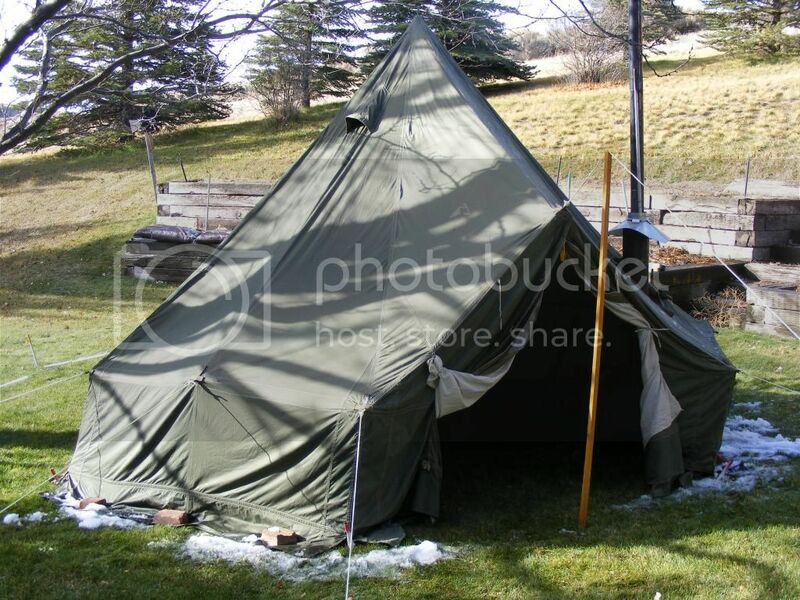 I have had this tent up all winter and it will handle the wind quite well as long as the sod cloth is either anchored by snow or heavy rocks and you tighten the guy lines every once in awhile. Also some times the stove pipe needs fixing in a strong wind. Have not had a chance to try the angled pipe set up yet. Wondering of other good tents in the wind. I have had poor experiences with most other tents in windy conditions. It blows a lot around here! Just got it up. Wind was blowing at 30 mph all day yesterday. A little snow this morning. U.S. Army M-1951 Hex tent with lining. 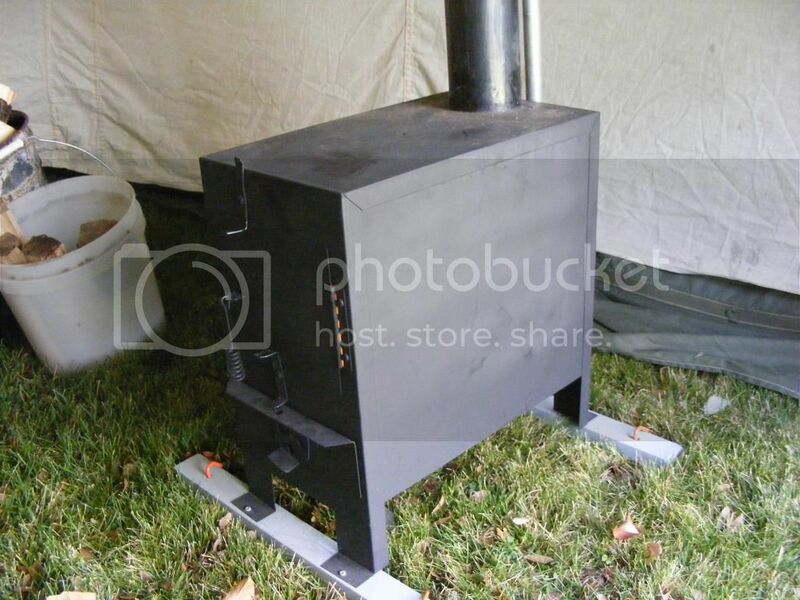 The stove I got about 10 years ago from Sportsman's Guide for about $30. I think it is from China. Uses a 3" pipe. Works good. I also have the correct Army stove that goes with this tent. Picked this up at a local Army store. It did not look like this when I got it. Cleaned it up some. They had a whole box of these, most were damaged is some way. A lot of them had cracked caps. Anyway it works good, thought it came out nice. Now I just need to rig up some kind of framework to hold a metal cup for heating. Ok new thread, same basic topic. 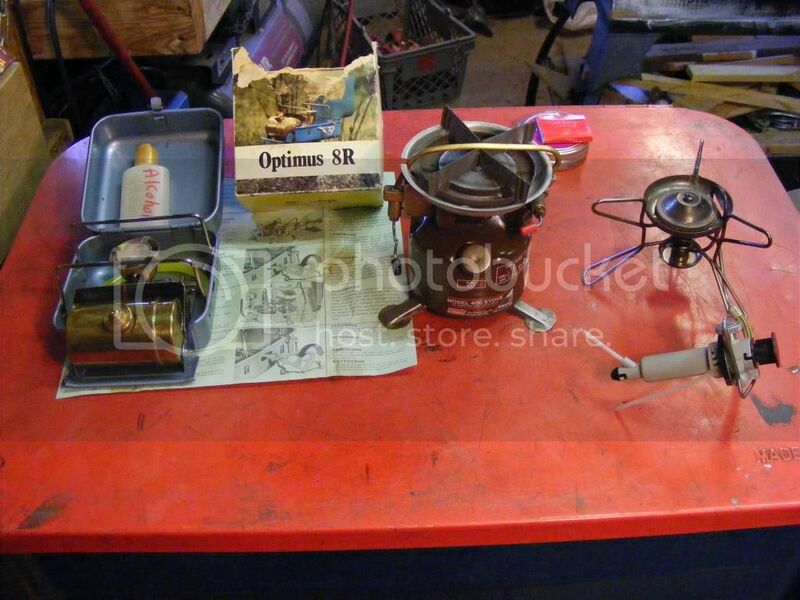 First picture, stove in the center is a Coleman Model 400 backpacking stove. 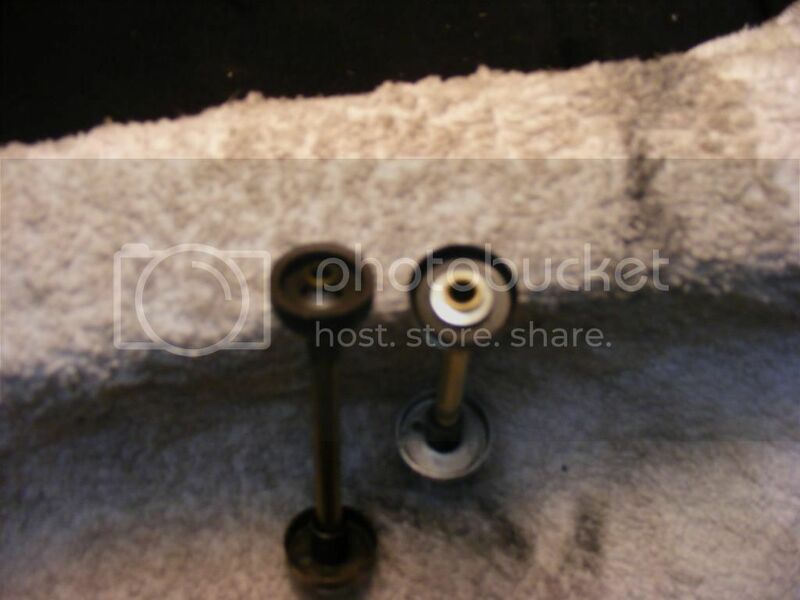 Second photo is a picture of two pump plungers. The one on the right has a neoprene cup and comes out of the Coleman 400. You see (sorry for the bad photo) the cup is held on just by flaring the pump shaft. 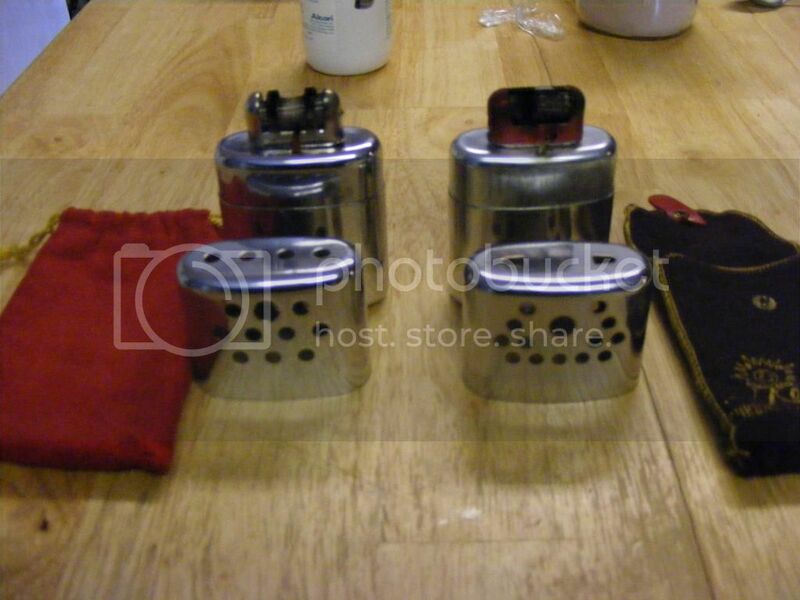 The plunger on the left is out of a Coleman two burner stove (red tank). I am showing it for comparison. 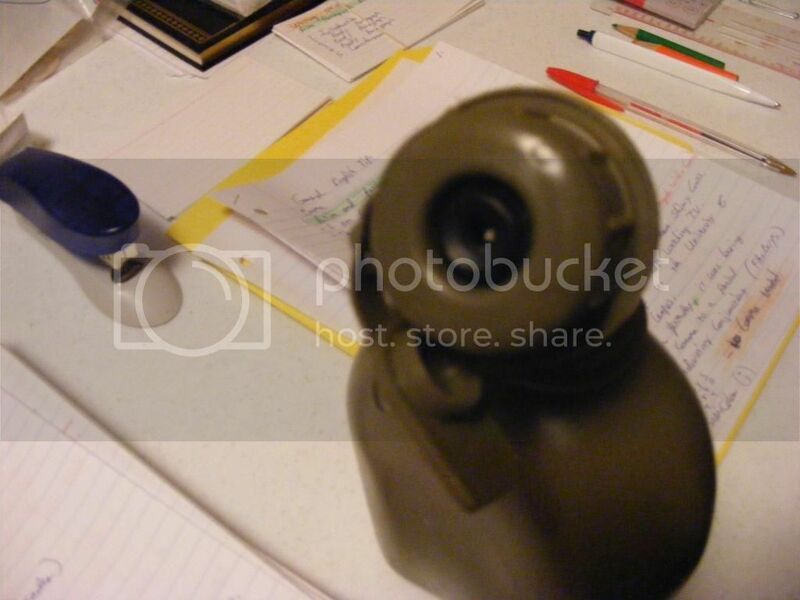 It has a leather cup and it is held on by a friction clip, and it is removable. 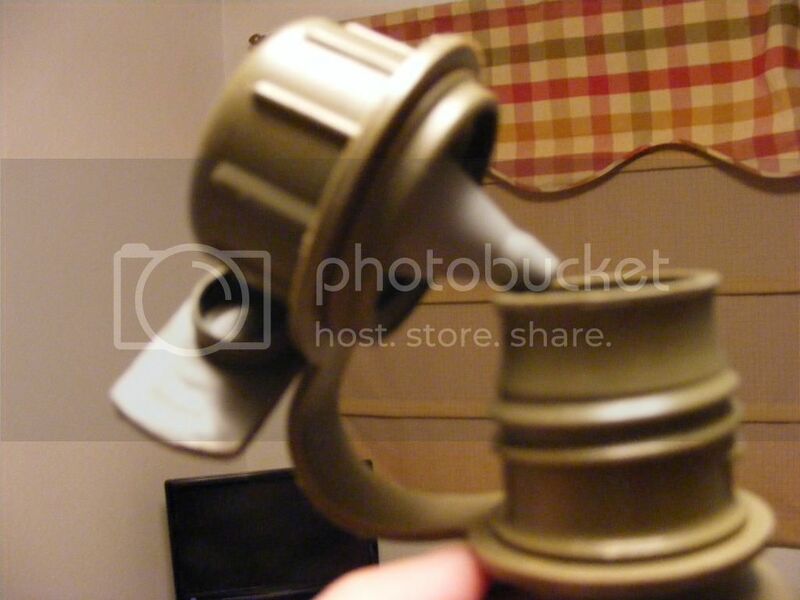 My question is how can you get a leather cup on the Coleman 400 pump shaft when it has the flared end? P.S. I checked, they do not sell a Coleman 400 entire pump assembly with a leather cup, just neoprene. 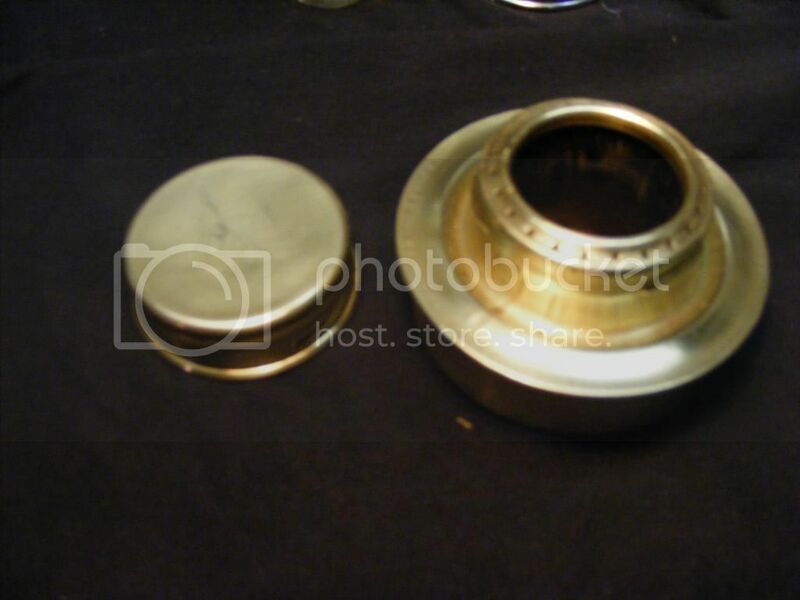 Below is what I am going to use if all else fails, an alcohol "stove". 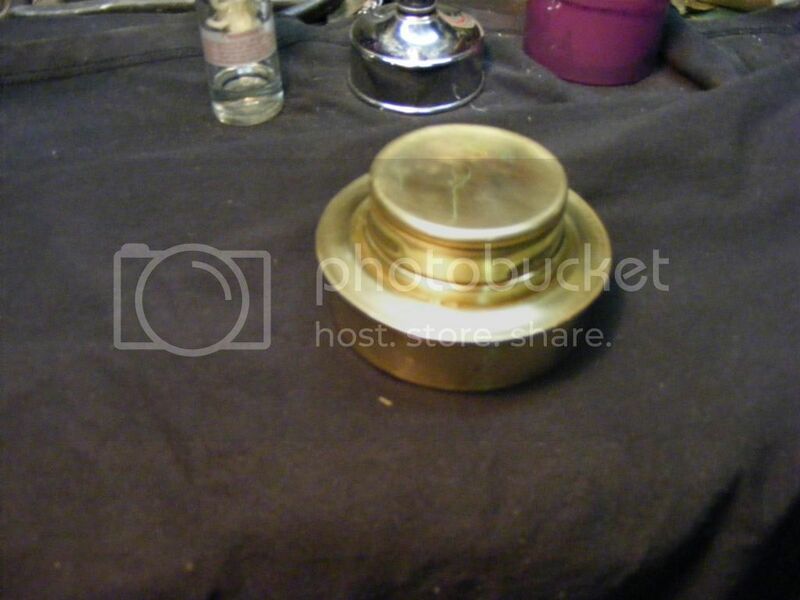 It is some kind of medical device. It comes with a stand and a spoon. For melting your crack I guess.